On October 5th, the Prismatic Tsunami web community and the cast of Metagamers Anonymous hosted yet another live event at The Burrow: Gifts for Geeks in East Wichita. It was an all-day miasma of tabletop gaming with gamers from in and around the area. As the evening drew to a close, the cast recorded a live podcast with the participation of the numerous players, GMs, and casual game enthusiasts in residence, discussing their games, drawing prizes, and generally having a good time. 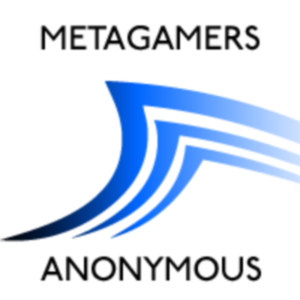 MetAnon Ep39 – Spousal Support MetAnon Ep40 – Presentation!